Placing this weight inside your sous vide bag will keep it fully submerged below the water to ensure an even cook and make sure there is no potential food risk from uncooked food. 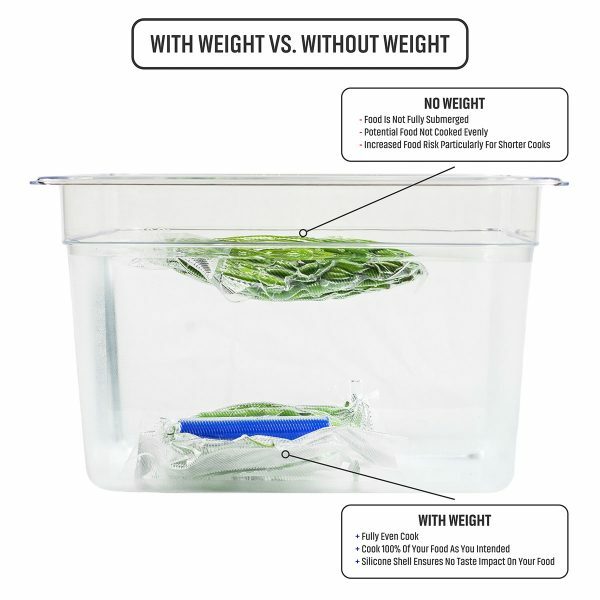 Weights are a cheaper, less cumbersome and more flexible solution than a Sous Vide Rack. 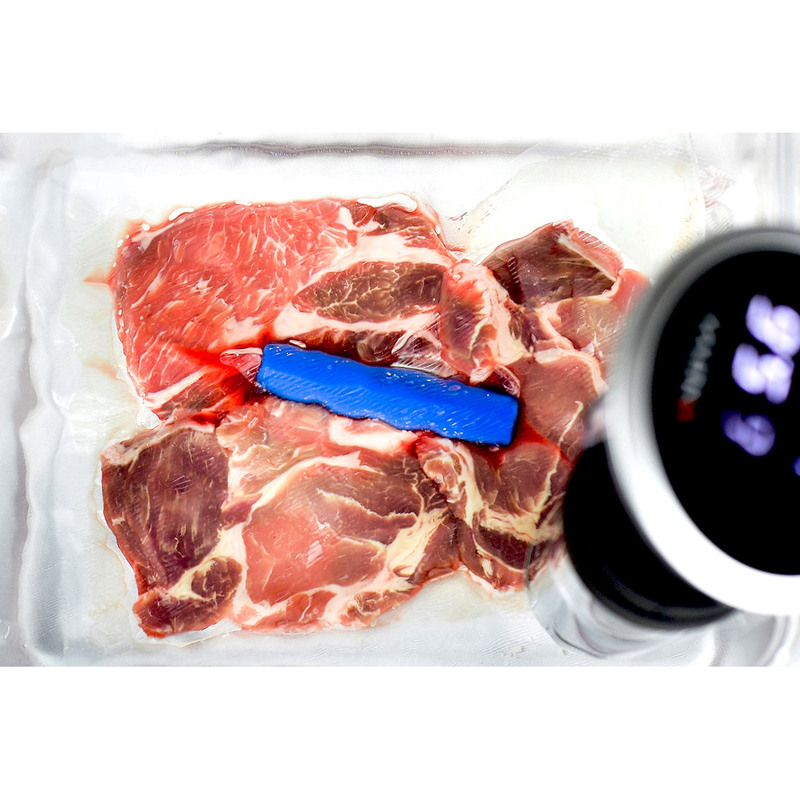 Until now, most sous vide users have resorted to putting items such as metallic cutlery within bags or carefully placing heavy weights on top of bags to stop them floating. 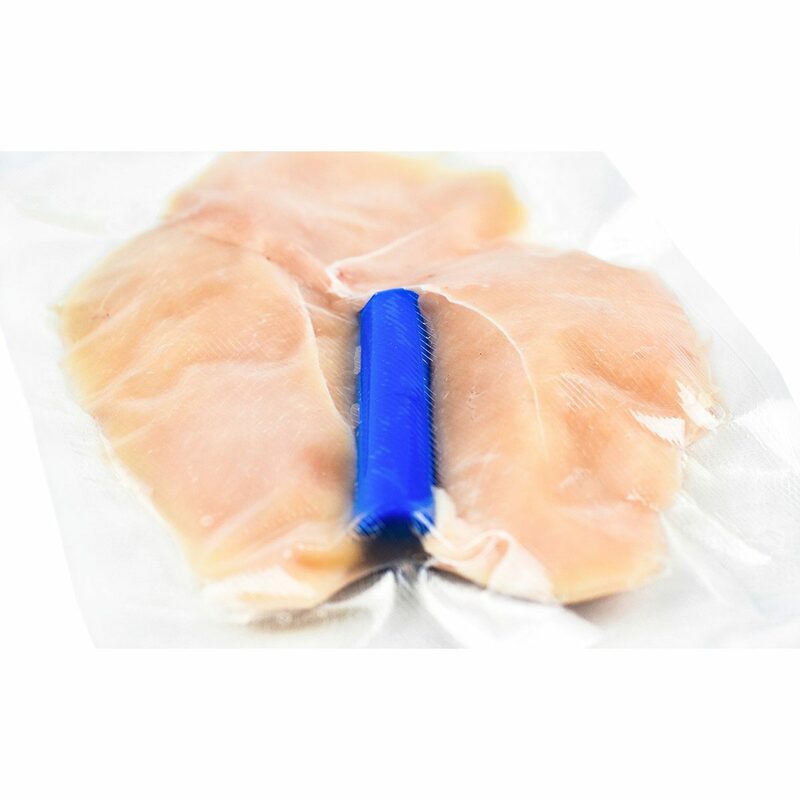 This is an imperfect solution because some metallic cutlery can impact food taste while large weights on the food bags can fall off or severely lower the flow of water to the food bag. 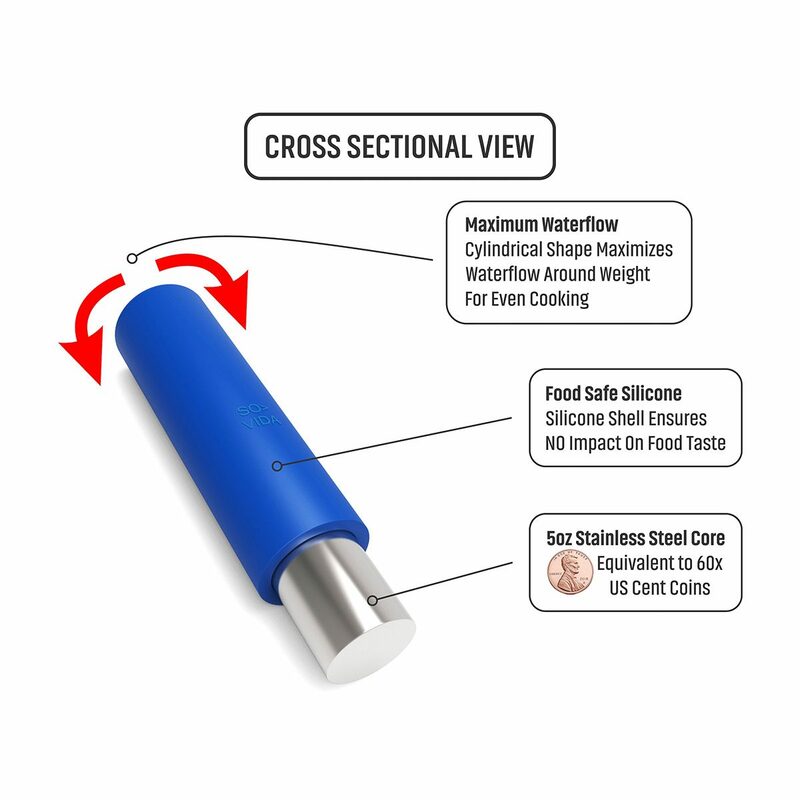 SO-VIDA Sous Vide Weights have a heavy stainless steel core (equivalent to 60x Cents) and are covered in a food safe silicone shell which leaves zero taste impact on your food. 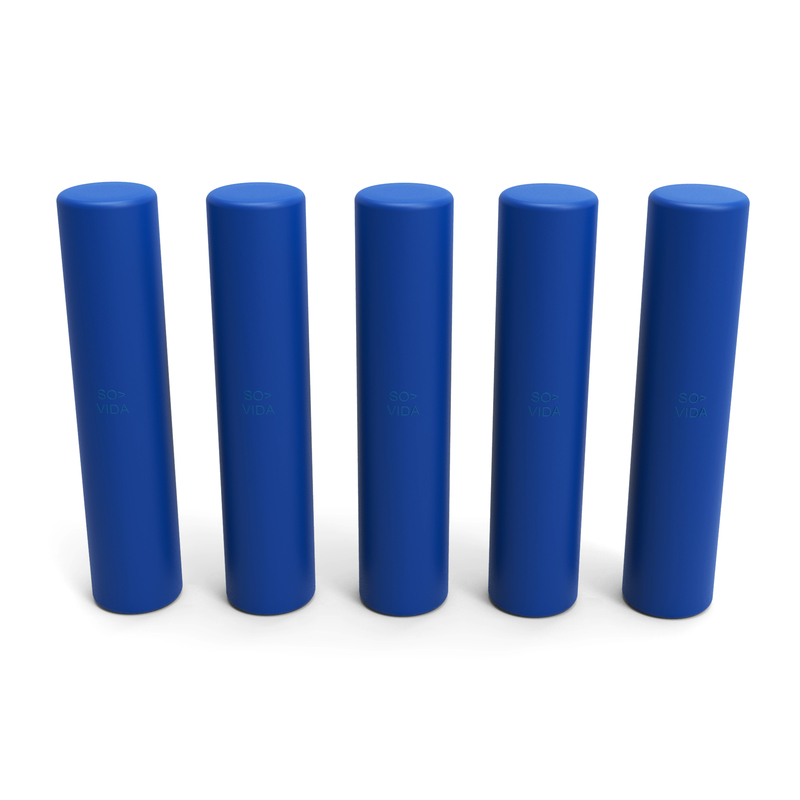 Furthermore, it’s cylindrical design ensures maximum water flow to your food. 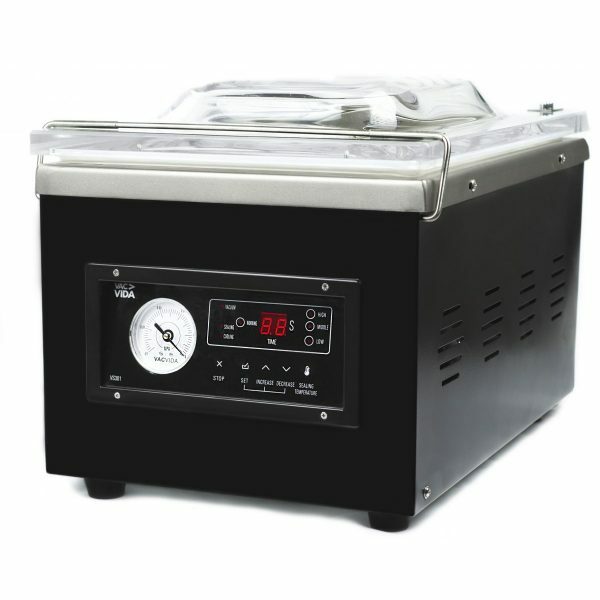 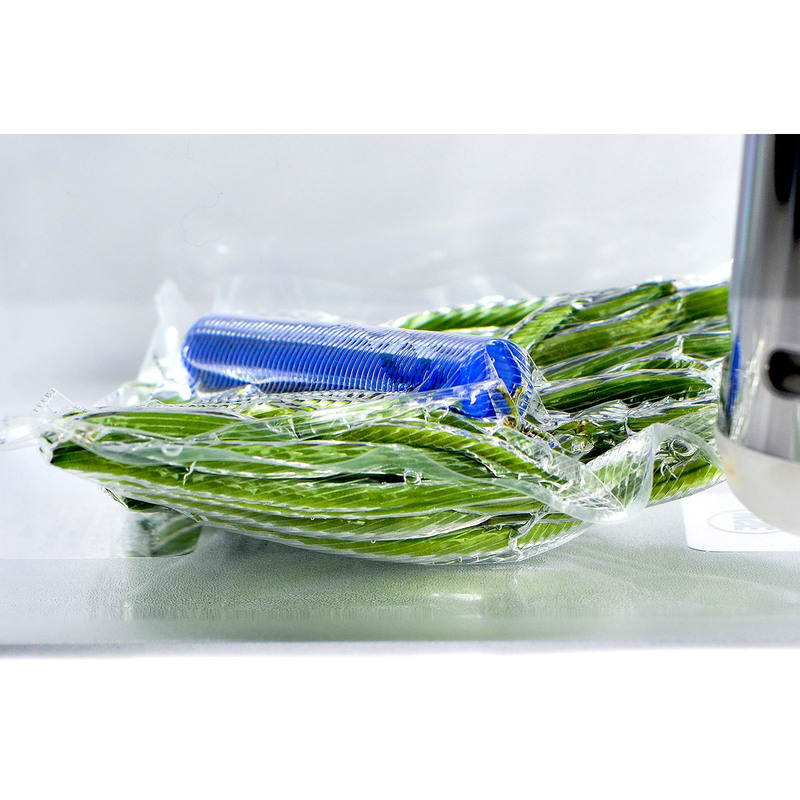 Each weight is perfect for a normal sized sous vide bag, however if you are cooking larger item in a large bag, then you have the option of using an additional weight. This product comes as a 5 pack and each weight is fully dishwasher safe. 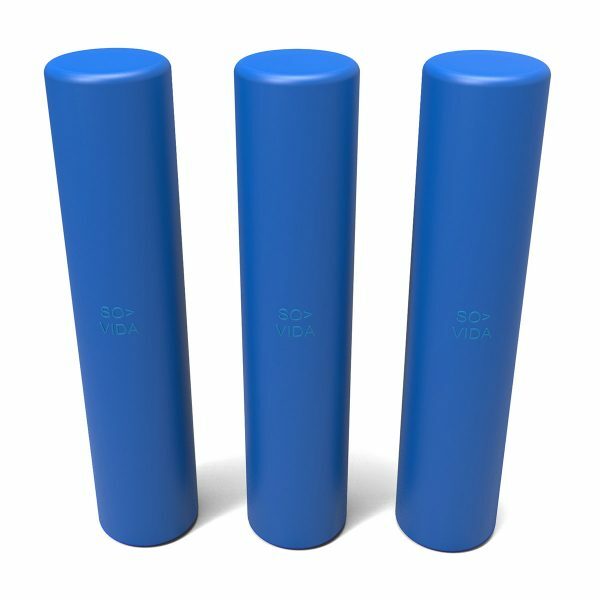 Weights are Patent Pending subject to application US 62/625,772.